GC-7: 7” Shoe Assembly (Replaces OEM A5517). Weight: 12 Pounds. SR-10: Shoe Washers (Replaces OEM 307) (Package of 6). 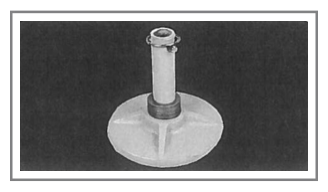 SR-12: Lynch Pin (Replaces OEM 308) (Package of 6).